The Library aims to provide information services to the students, faculty and management professionals. It spans over an area of 3570 sq. ft. It distinguishes itself from other management libraries due to variety of reference sources from various disciplines. IMDR consists of students, staff and faculty striving to be vibrant with learning process and committed Management Education which contributes to more enlightened management practice. It is the library which through its enriched resources and enhanced services has always strived to be supportive to this process. and reference sources, 814 CD‘s, 245 DVD‘s, 21 Theses, 7272 Article database, 1302 seminar reports/ working papers, 364 audio–visual cassettes. There are 50 Journals and bound volumes of some prominent journals for over 12 years. It has 8 English and 4 local language newspapers. Both these are preserved for 6 months & 3 months respectively. The IMDR Library has two online databases namely EBSCO- Business Source Elite+ and J-Gate Social & Management Sciences. The members can access journal articles, business publications, company profiles, reference books, newspapers, case studies etc. EBSCO also has a strong e-book collection and videos with transcripts and related articles from the Harvard Seminar Series. The policy of the library has been to make collection mainly in the field of management and its allied subjects. More importance has been given to build a collection of classics in the various areas of social science and general management and at the same time the textbook procurement being kept to the minimum not making it a textbook library. We subscribe to 25 Foreign Journals and 52 Indian journals . The library has 52 e-journals and 52 magazines. The Library has a yearly budget of around 12 lakhs. The IMDR Library has open access to all its members. One reader ticket allowing 6 books/CDs and 3 back issues of magazines borrowed out of the library. Access to certain electronic services from within the library. Photocopying in accordance with copyright. General reference assistance at the library desk. One reader ticket allowing 2 books to be borrowed out of the library. 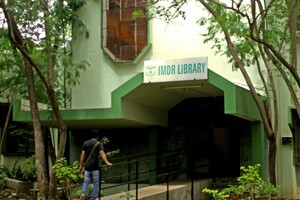 Bibliographic and orientation instructions are given to new members when they join IMDR, to assist them in getting acquainted with the library, its location, collections and electronic resources. 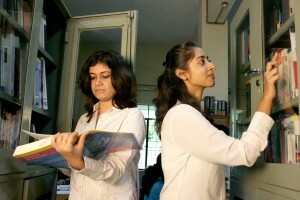 A demonstration of the WEB-OPAC computerised system for locating books, journals, case studies, etc, can also be arranged on request. The library staff , available at the reference desk, provides assistance to anyone needing extra training using WEB-OPAC, in addition to help patrons locate books and reference material in the stacks. Computer terminals are available until 15 minutes before the library closes. Patrons can use the workstations for searching the catalogue and other information. Single copies of articles can be requested from our collection. Copies obtained through this service may only be used for private study or for research purposes. The librarian can provide research assistance and advice on library databases and arrange individual training sessions on library databases on request. Business Source® Elite provides full text coverage of scholarly business, management and economics journals. Business Source Elite + offers full text for over 1,000 business publications and contains expanded PDF back files for 150 titles (back to 1985 or the first issue published for that journal). More than 19,000 substantial company profiles from Data monitor are also included. J-Gate Social & Management Sciences (JSMS) J-Gate is an electronic gateway to global e-journal literature. Launched in 2001 by Informatics India Limited, J-Gate provides seamless access to millions of journal articles available online offered by 8,750 + Publishers. Presently it has a massive database of journal literature, indexed from 26,830+ e-journals with links to full text at publisher sites.